Earlier today I saw Yisrael (Israel), a young fellow I have known since he was a small child attending synagogue services with his father at the local Yemenite congregation. Yisrael is a sweet, soft spoken guy, there is nothing unusual about him. Well, at least not to me. Today he works as a security guard at our Mall and is highly regarded. Again, nothing unusual. But it is interesting to see things from the perspective of someone else, someone from the outside. 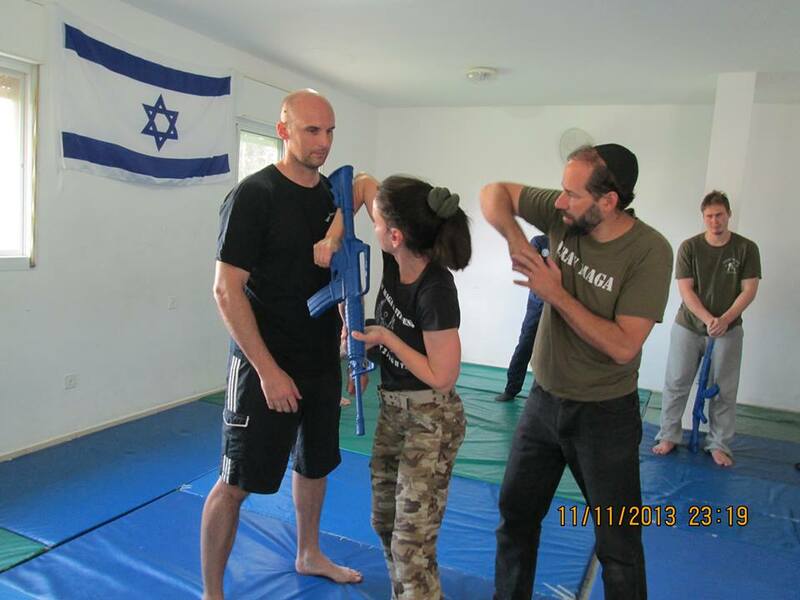 During the recent Tour and Train a Krav Maga participant from Germany noticed Yisrael and was amazed. She noticed that he limped. He has limped as long as I know him, I think he was born this way. I hardly even notice it. But she made an interesting observation. She was so impressed, she said this is the beauty of the State of Israel that such a person can work in security. We did not understand. She explained that in her country such a person could never consider even applying for such a job. A "handicapped" person, a person with a limp, could not possibly work as a security guard. Not only would he be considered unable to do the job but he would not have the right "look". A security guard must look a certain way. In Israel we are less concerned with appearances. Yisrael is good at his job and his highly regarded. Security is not for show. Tour and Train, teaching all kinds of people from all over the world. In this photo Moshe is teaching students from Germany, Australia and Norway. Seeing Yisrael today made me think. His name is Yisrael, the name of our nation. The word yisrael, yisra-el, means to struggle with God and was the name given to our patriarch Ya'akov by the angel with whom he struggled. In a sense this is who we are; a people who struggle, with God and with man. Life is a struggle. We grapple with many complex issues, we struggle with God, our beliefs, we struggle to find our place in creation. And we struggle to find our place in a world that has been largely hostile to our existence. Rabbi Nacham of Braslov used to say, "Wherever I am going - I am going to the Land of Israel." Many pious Jews adopted his saying. A story is told of a young disciple who saw an old rabbi, limping but rushing ahead. "Where you are going?" He asked. "I am going to the Land of Israel". Though we may be limping we are still going to the Land of Israel. After Auschwitz we are all limping. We are a nation that limps but this is not a handicap, it is our strength. Though we may be limping we are still moving forward, nothing can stop us now. A security guard that limps? Nothing unusual about that. After the struggle with the angel our patriarch Ya'akov (Jacob) walked with a limp. We may be limping but it will not stop us. 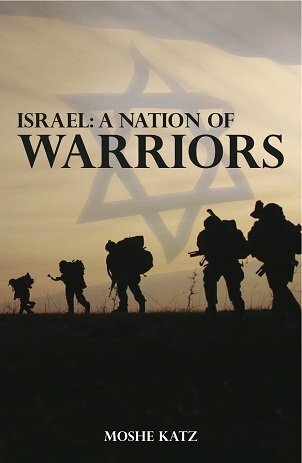 Learn the story of Israel, Israel as a fighting nation from Biblical times to our own times. How did our patriarchs fight? Joshua, Samson, Deborah, to the fighters of our own age.